Success in a civil lawsuit begins with knowledge of the law and thorough case preparation. At trial, success depends on precise execution, courtroom presence and the power of persuasion. We begin planning for trial at the very start of a case and constantly adjust our strategy to maintain focus on your goals, keeping in mind how your case will ultimately play to a jury. In 2014, after a two-week trial, a jury awarded our clients over $20 million in damages for theft of trade secrets, breach of contract and fiduciary duties, tortious interference, and conspiracy. The case involved valuable technology related to the production of cement, which had been stolen from our clients by the very people who had been trying to purchase the technology from them. Our clients’ business partners had conspired with the other defendants to enable the theft. The jury found all defendants liable on all claims. This was a 2014 Top Ten Jury Verdict in Texas on VerdictSearch. We represented a large international corporation in a legal malpractice case against two law firms who had represented it in a patent infringement case. The infringement case resulted in an $18 million judgment against our client, which it was required to pay in full. We determined that the two law firms had failed to assert important defenses that it could have asserted on behalf of our client. We obtained a substantial settlement just prior to the beginning of trial. Our client, a Dallas commercial developer, was sued for $29 million for fraud and breach of contract stemming from the construction of a multi-million dollar condominium project. 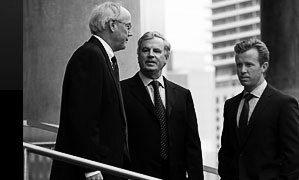 We represented five corporate defendants and two individual defendants in the case. After a month-long trial in Dallas district court, a jury returned a favorable verdict for all defendants, finding no breach of contract and no fraud. We represented a woman and her daughter in a suit against her brother over his actions as executor and trustee of a Houston estate worth more than $200 million. After five weeks of trial, we obtained a jury verdict for fraud and breach of fiduciary duties by the brother. We obtained a judgment for substantial damages to the estate, plus an award of several million dollars in excessive executor fees the brother had paid himself. We also obtained a court order removing the brother as executor and trustee, and our client was appointed instead. The damages awarded by the trial court were significantly increased on appeal. Read more. We represented a large national health supplement product manufacturer in a claim against its product formulator for secretly marking up the cost of the raw materials used in the products. The scheme cost our client approximately $15 million in additional costs over several years. A federal court jury found the formulator liable for the entire amount, plus punitive damages and attorney fees. The trial court judgment was upheld by the Fifth Circuit Court of Appeals. Read more. We defended the same national supplement company in a suit brought by several former distributors. The plaintiffs claimed the company breached its distributorship agreements with the plaintiffs and violated the Texas Deceptive Trade Practices Act. After a two-week jury trial, we obtained a verdict favorable to our client. The case is currently on appeal. We have helped many clients who have been involved in fee disputes with their lawyers. In one well-known case, we prevented a law firm from collecting an excessive $1.7 million claimed contingent fee from a client who had fired the law firm prior to the settlement of their case. The Texas Supreme Court upheld our position that the termination provisions in the law firm’s fee contract were contrary to public policy and unconscionable, and therefore unenforceable. The case represents significant precedent in Texas law regarding attorney-client contracts. Read more. Our client inherited her physician husband’s partnership interest in a large emergency room staffing company upon his untimely death. Unsure what to do, our client hired a lawyer, who advised her to sue the deceased husband’s partners in return for a substantial portion of the “recovery” for the lawyer. The husband’s interest was worth several million dollars. Shortly thereafter, the lawyer negotiated a purchase by the partners of our client’s interest. We convinced a jury that the fee arrangement was unenforceable and a breach of fiduciary duty by the lawyer. The court entered a judgment voiding the fee agreement and awarding our client a substantial monetary recovery, including punitive damages. In another attorney fee dispute case, we defended a client against an attorney’s one-sided fee contract. Our out-of-state client was sued for attorney’s fees by a Dallas attorney. We obtained a dismissal based on lack of personal jurisdiction. We successfully argued in the trial court that the Dallas forum selection clause in the attorney’s fee contract was unreasonable. The Dallas Court of Appeals agreed with us and upheld the dismissal. Read more. When our client’s former independent contractor stole proprietary information, we sued him for conversion and obtained a judgment in excess of $600,000. 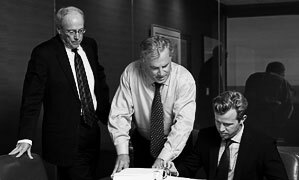 We assisted a client in a battle over her share of the family business. Her interest had been pried away through the maneuvering of a manipulative ex-husband. The case required us to fight a commercial litigation battle while simultaneously attempting to roll back a flawed divorce decree. The jury awarded several million dollars in actual and punitive damages. In addition, the court terminated the ex-husband’s ownership interest in a valuable company. We represented an investor who had been bilked by a hedge fund manager who made unauthorized transactions, costing our client several million dollars. We recouped the money by prevailing in an arbitration against the hedge fund manager. We then proceeded to a second arbitration where we gained additional reimbursement from a national brokerage firm that should have notified our client, and received his consent, before authorizing the rogue transactions. We represented five defendants accused of trademark infringement and unfair competition for the use of their trade name at several of their business locations throughout Texas. 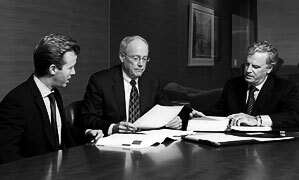 At mediation, our clients chose to take the case to trial rather than pay the amount the plaintiff demanded. After a three-day trial, and less than 30 minutes of deliberation, a Dallas jury found our clients not liable for trademark infringement or unfair competition. In a recent case, we obtained a jury verdict in excess of $1 million for a local company involved in a contract dispute with an individual over the sale of an ongoing business. 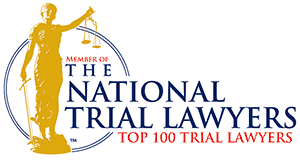 We demonstrated to the jury that our client was the victim of fraud by being induced to enter into the contract for the sale of the business. We also convinced the jury that the defendant breached the sale contract in several material respects. When one of our clients lost his eye as a result of falling down a faulty staircase, he hired a local personal injury firm to represent him. The law firm then retained the services of two other law firms to share in the fee. Ultimately, the attorneys failed to investigate our client’s claim, resulting in an extremely low, unsatisfactory settlement that we argued our client was forced to accept. We sued all three law firms and the lawyers involved and, after months of discovery, obtained a favorable settlement for our client. Our client, an out-of-state business, was involved in a multimillion-dollar lawsuit in federal court. Our client retained the services of a local consulting expert to analyze documents and submit an expert report on their behalf in the litigation. Due to the expert’s lack of expertise and unsatisfactory work, the expert was struck as a witness and our client was forced to settle for millions more than it would have had the expert acted prudently. We sued the expert and the consulting firm for negligence and secured a favorable settlement for our client. When two small Texas businesses were sued for excessive charges by a large international company, we tried the contract dispute in Dallas district court and obtained a verdict favorable to our clients. We represented an individual and a trustee bank in a dispute between our client and his mother and uncle over a $2 million estate that our client’s deceased grandmother had left entirely to him. Our client’s mother and uncle, who were both purposefully disinherited from the will, filed suit, claiming that the will was invalid because the grandmother was mentally incapacitated and unduly influenced when she executed it. In discovery, we tracked down the doctors and witnesses involved and got their side of the story. Eventually, we secured a favorable settlement for our client that allowed him to keep the majority of the estate proceeds, including an ongoing cash flow stream stemming from mineral holdings. We have handled bad faith insurance claims in cases where a client’s insurance company refused to pay legitimate claims. In one case, the insurance company accused our client of arson in a fire that resulted in a total loss of his home and personal property. We were able to show that the fire was caused by a defective clothes dryer, and received a settlement for the full value of the house, contents and all attorney fees. In another matter, we showed that the insurance company, who had accused our client of “stealing” his own property, had not even attempted to investigate the claim. We obtained a full value settlement for our client. We represented a property owner of 200 acres of valuable development land in Collin County. He had entered into a joint venture agreement with an unscrupulous developer, with the assistance of a lawyer, to give up one-half of his ownership interest. After 3 weeks of trial, we obtained a jury verdict of fraud and breach of fiduciary duty by the developer, and legal malpractice by the attorney. The client recovered his property, and actual and punitive damages. The owner of a commercial property called us after the Texas Supreme Court had refused to hear his appeal of a judgment that had resulted in his property being lost in a tax sale for $5,000, although its actual value was $750,000. On Motion for Rehearing, we convinced the Texas Supreme Court to hear the appeal. The Court reversed the lower court judgment, and title was restored to our client. Read more.